APSC Recruitment 2017- 353 Nos. Assistant Professor, Librarian & Various Posts: Last Date 27-06-2017. - Jobs4NE : Jobs in Assam and North East India. APSC Recruitment 2017- 353 Nos. Assistant Professor, Librarian & Various Posts: Last Date 27-06-2017. 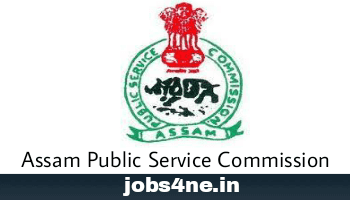 Assam Pubic Service Commission (APSC) invites Applications from eligible Indian citizens for recruitment of 353 Nos. Librarian, Assistant Professor & Various Posts. Total no. of post: 353 Nos. 1. Name of the post: Librarian- 12 Nos. Scale of pay: Rs 15600- 39100/- + Grade Pay Rs.6000/-. Qualification: Masters in Library science/ Information science with national level exam. 2. Name of the Post: Assistant Professor (Technical and Non Technical)- 81 Nos. Qualification: B.Tech/ B.E/ M.E/ M.Tech/ MCA for technical candidates and Master + NET (for non technical posts). 3. Name of the Post: Lecturer (Technical and Non Technical)- 199 Nos. Scale of Pay: Rs 15600- 39100/- + Grade Pay Rs.5400-6000/-. Qualification: Graduation/ Post Graduation in engineering discipline with NET. 4. Name of the Post: Sr. Instructor- 61 Nos. Scale of Pay: Rs 5200- 20200/- + Grade pay Rs 3300/-. Qualification: 03 years diploma in engineering. Selection Process: On the basis of Written Test & Interview. How To Apply: Interested candidates may apply in prescribed format along with Self attested photocopies of Certificate / Mark Sheet / Experience Certificate (where necessary) send to the Deputy Secretary Assam Public Service Commission Jawaharnagar, Khanapara, Guwahati-22 on or before last date.